Aunt Suzy says . 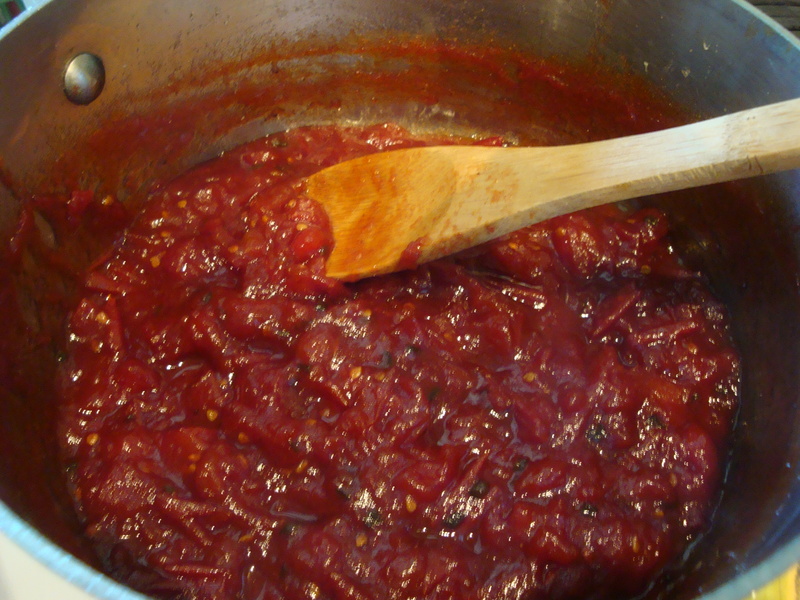 . . . .
I’m not sure I had every heard of tomato jam before; maybe on the periphery of my awareness, but nothing that ever sunk in. What made me seriously consider tomato jam is this post on The Wednesday Chef, specifically the photo of a fried egg on top of toast smeared with the jam. I love fried egg sandwiches, so I was sold. I made one for breakfast this morning on top of sour dough rye and it was quite a taste treat . . . even though it didn’t look good enough to photograph and besides I was hungry! Combine all ingredients in a heavy medium saucepan and stir to blend thoroughly. Bring to a boil over medium-high heat, stirring constantly. 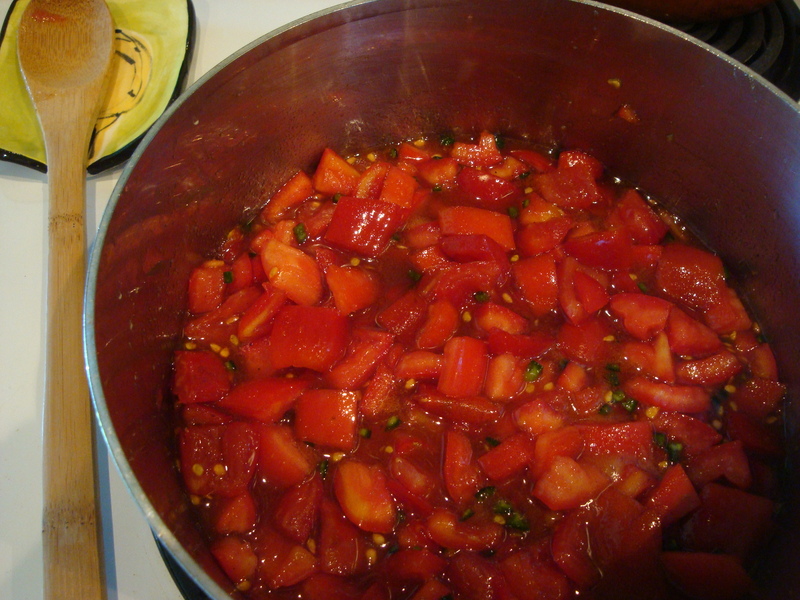 Reduce heat to medium and simmer uncovered, stirring occasionally, until mixture has consistency of thick jam. This took 50 minutes for me, although the original recipe suggested about 1 hour 15 minutes. I recommend checking at 45 minutes to make sure it doesn’t burn or get too thick. Taste and adjust seasoning. (see note below) Cool to room temperature. Use immediately or refrigerate until ready to use. The original recipe said this will keep at least a week, but I have a hunch it has a much longer shelf life if kept in the refrigerator. 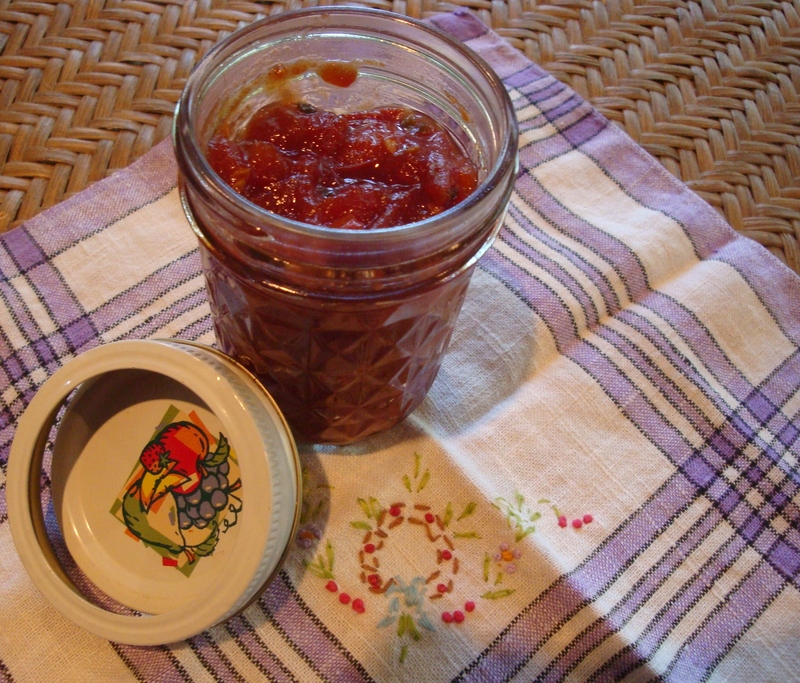 UPDATE August 16, 2012: I’ve now made this jam a few times, including today. I found that measuring out the tomatoes to 5 cups is better than going by pounds. That amount of tomatoes made 2 cups of jam. Also, 50 minutes seems to be the magic number for when this jam is finished – for me anyway. I recommend sterilizing half-pint jars with boiling water, filling them with the hot jam, capping and then turning upside down to seal. The jam will then last a lot longer in the fridge before being opened for use.